Imagine seeing trail conditions at your favorite Arizona state park before you head out, giving you the chance to perfectly plan your hike. 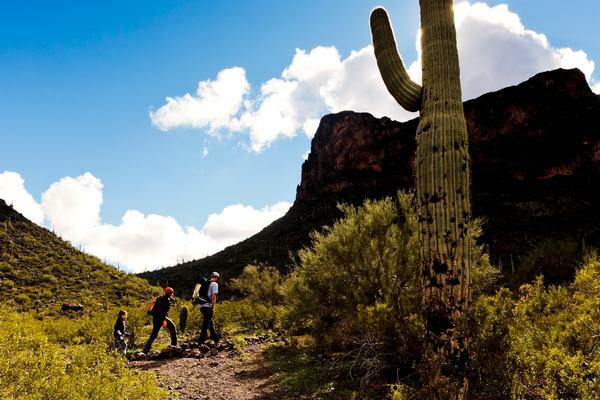 Arizona State Parks and Trails is working with Google to make that happen. 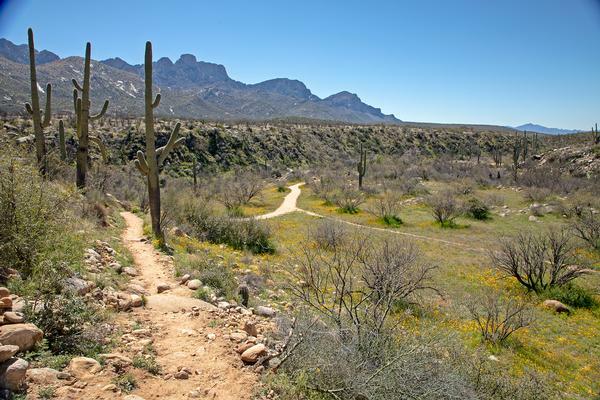 Spring weather and Arizona State Parks and Trails go hand-in-hand! This is the perfect time of year to lace up your boots, grab your water bottle, and hit the trails. We narrowed it down to our top three springtime hikes that are sure to please with views and adventure alike. Discover the joy of sleeping under the stars with the whole family! Learn as your host walks you through the basics of tent camping and enjoy activities for all ages throughout the fun-filled weekend! The Arizona Game and Fish Department manages and conserves the state's wildlife resources and manages wildlife related and other outdoor recreational opportunities. The Department owns 35 wildlife areas and six fish hatcheries throughout the state which provide habitat for various wildlife species and wildlife watching opportunities for the public. For more information on Arizona's wildlife, boating regulations and fishing permits, visit azgfd.gov. Since 1916, the American people have entrusted the National Park Service with the care of their national parks. With the help of volunteers and park partners, National Parks are proud to safeguard these more than 400 places and to share their stories with more than 275 million visitors every year. Arizona offers 22 National Parks and Monuments, and welcomes 10 million visitors each year. Find out more at nps.gov. The Bureau of Land Management's (BLM) mission is to sustain the health, diversity and productivity of the public lands for the use and enjoyment of present and future generations. In Arizona, the BLM administers 12.2 million surface, plus 17.5 million subsurface, acres of public lands. The BLM provides access for recreational users, providing trails non-motorized use and for access by off-highway vehicles. Explore all of the trail and recreational opportunities at blm.gov. The Arizona Office of Tourism promotes Arizona as a travel destination to enhances the state economy and the quality of life for all Arizonans. Communities throughout Arizona provide outstanding visitor experiences, from their outdoor recreation adventures to their individuality and exceptional attractions. When visiting Arizona's state parks, explore the many attractions, restaurants and accommodations Arizona's communities offer. Plan your trip at visitarizona.com. The Forest Service manages public land in national forests and grasslands to help people share and enjoy the forest, while conserving the environment for generations yet to come. Arizona offers six national forests ranging from the sky islands along the U.S.-Mexico border to the rims of the Grand Canyon. 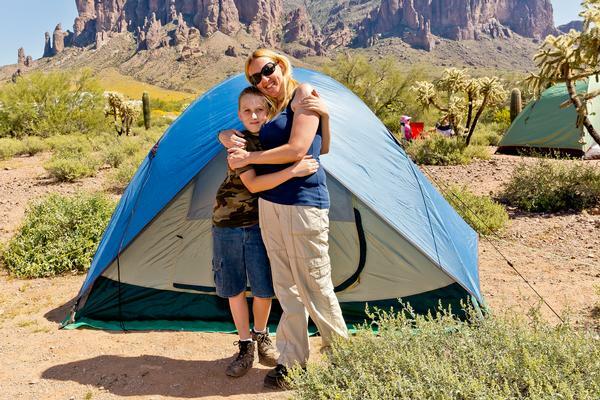 Many of Arizona's state parks act as basecamps to explore the national forests. To find the many recreational opportunities around state parks, and elsewhere in Arizona, visit fs.usda.gov. Arizona Trust lands constitute approximately 13% of land ownership in Arizona. Scattered throughout the State, the Trust lands are extremely diverse in character, ranging from Sonoran Desert lands, desert grasslands, and riparian areas in the southern half of the state, to the mountains, forests and Colorado Plateau regions of northern Arizona. The Arizona Land Department is a partner with Arizona State Parks and Trails in protecting Arizona's land and resources. Learn more at land.az.gov. The Arizona Department of Transportation (ADOT) is responsible for planning, building and operating a complex highway system in addition to building and maintaining bridges and the Grand Canyon Airport. ADOT is a partner with Arizona State Parks and Trails in providing access to public lands by constructing and maintaining park roads and parking lots. For more information on Arizona's transportation connections, visit azdot.gov. The state's magazine since 1925, Arizona Highways has provided beautiful imagery of the Grand Canyon state to millions of readers across the globe. The magazine explores the rich history of Arizona through images supporting its diverse native cultures, plants, animals and beautiful landscapes. Arizona Highways circulation supports more than 200,000 subscribers in two-thirds of the world's countries. For more information, visit azhighways.com.